How Happy is Your Hair? Click images below to hear their stories. 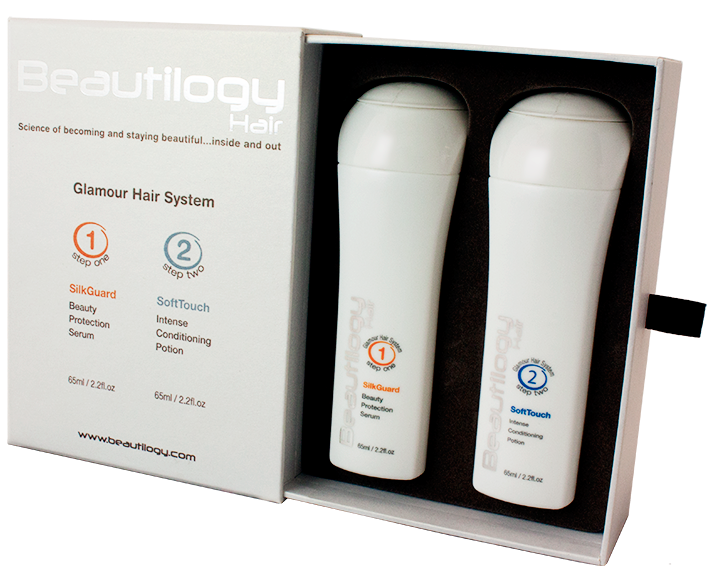 Beautilogy Glamour Hair System is arguably one of the most effective after-wash leave-in hair systems ever created. In fact, it is the world’s first serum-potion system that contains ingredients at levels research proves will make a noticeable difference. Beautilogy Glamour Hair System contains 2 products clearly marked as Step 1: SilkGuard Beauty Protection Serum and Step 2: SoftTouch Intense Conditioning Potion. SoftTouch Intense Conditioning Potion is a hair beautifying conditioner that provides long-lasting conditioning, undeniable improvement in shine and ease of brushing… so you get protection against splits-ends, fly-aways, tangling and static. Once you have hydrated your hair, it is extremely important to keep it – hydration (water) slows down the spread of heat and ultimately damage. Once water has ‘escaped’ the temperature of your hair will increase… causing oxidative stress and potentially irreparable damage! This is where Step 2 starts working for you — this potent combination of conditioners coats your hair with a protective film that prevents water loss. This is vital to avoid cracks of the cuticles and finally breakage of your hair. Protects against oxidative stress especially when hair is at its highest risk of damage…when wet and heat-treated… such as when blow drying, using a hair straightener or a curling iron. Penetrate deep into your hair to support the proteins in the hair cortex and reverse signs of damage to give your hair a healthy shine. Silk proteins have been shown to dramatically improve the condition of hair after permanent and semi-permanent treatments like Japanese and Keratin hair straightening and permanent wave treatments like perms. Forms a protective barrier to keep your hair beautiful even after a few washes. 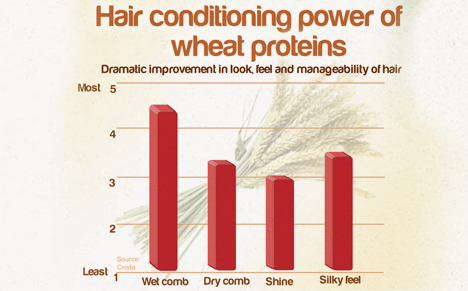 Wheat proteins in Beautilogy can create a ‘permanent’ conditioning effect that keeps your hair moisturised by locking-in proteins in your hair… and can last even after multiple washes. Gives your hair shine, silky soft touch and smooth feel... and you'll need even need to use less serum over time! Provides long-lasting deep moisturisation and conditioning to your hair by locking in hydration. This gives your hair an unbelievably soft velvety feel with a healthy shine. You'll also notice that your hair is practically static-free especially after blow-drying, hair straightening or when using a curling iron. by smoothing the surface of the each strand of your hair… it just has to reflect light. the cuticle layer is compacted (cuticles are fish-like scales that need to lie flat for maximum protection – closed cuticles creates a flat surface to reflect light… making your hair shiny). Raised cuticles can ‘grab’ each other, causing tangling and breakage. by ‘adjusting’ the state of the hydrogen bonds that are responsible for 35% of your hair’s strength and up to 100% of hair’s elasticity… making your hair resistant to damage by enhancing your hair's ability to spring back to its original shape. (Hair breakage occurs when bonds holding proteins break -- the tips of your hair are highly susceptible to this type of breakage, commonly called split-ends). a compact cuticle will not allow water to evaporate and proteins within the hair shaft to ‘leak’ as much as an open cuticle. especially when hair is at its highest risk of damage…when wet and heat-treated... such as when blow drying, using a hair straightener or a curling iron. against environmental stress such as UV-A from the sun and seawater. 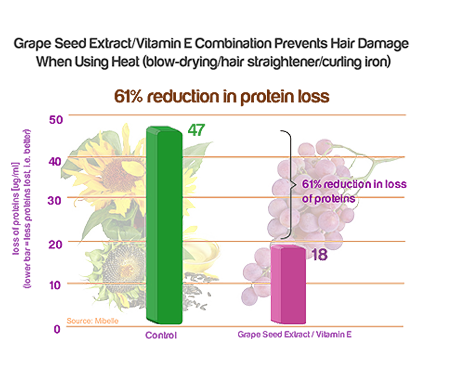 Vitamin E and grape seed extract are especially handy at the beach... think of this as a sunscreen for your hair. such as when using formaldehyde-stuffed hair straightening treatments, perms, hair colouring, tinting, bleaching or when using foils. 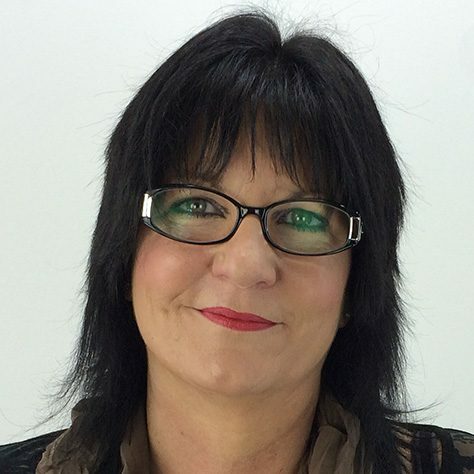 why spend so much money getting highlights or hair colour so it quickly fades when washing… prolong your investment and vibrancy of your new hair colour. that cause wrinkles. 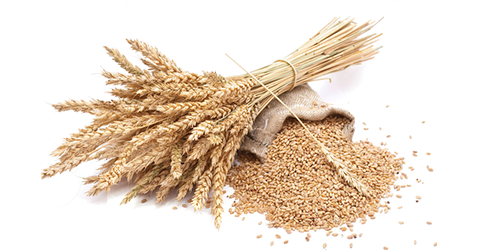 Grape seed extract and Vitamin E combination is used in anti-aging skincare and sunburn products too. Your scalp is in good hands. to support the proteins in the hair cortex and reverse signs of damage to give your hair a healthy glow. Silk proteins have been shown to dramatically improve the condition of hair after permanent and semi-permanent treatments like Japanese and Keratin hair straightening and permanent wave treatments like perms. that helps retain moisture that makes your hair smooth and shiny. 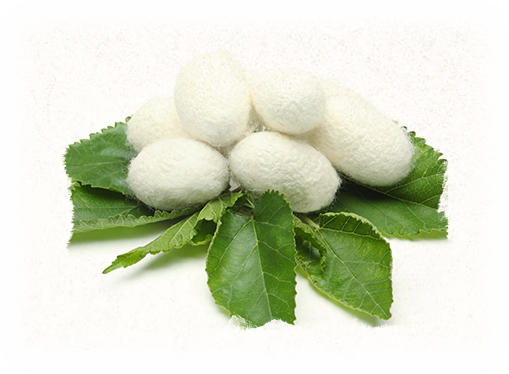 (Silk proteins also used in anti-aging facial moisturisers). Forms a protective barrier to keep your hair beautiful even after a few washes. This can create a ‘permanent’ conditioning effect that keeps your hair moisturised by locking-in proteins in your hair... and can last even after multiple washes… giving your hair a glossy shine, with a silky soft and smooth feel. say goodbye to hair breakage and tangling. giving it body and bounce. 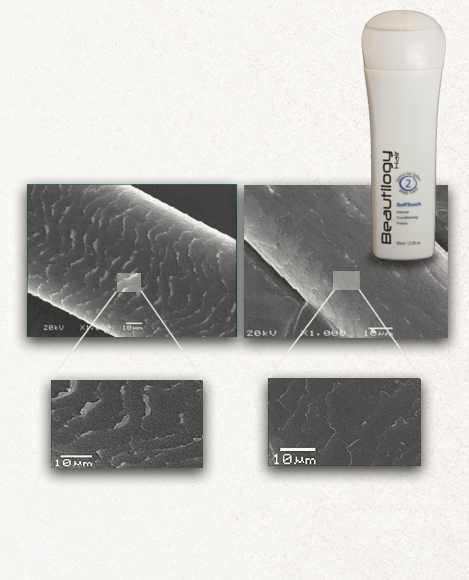 its effect is magnified if your hair is damaged -- almost magically more is 'transferred' when needed. 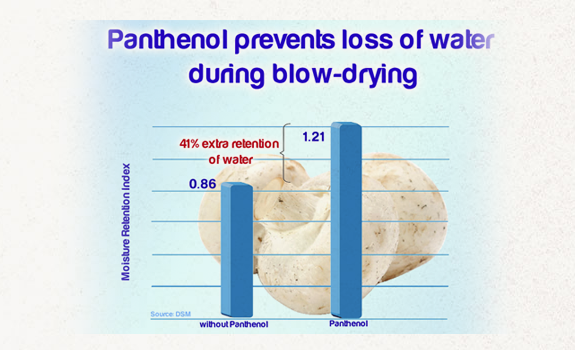 The effect is further enhanced when Panthenol is applied frequently. because of its ability to retain moisture -- this protects your hair against brittleness and breakage. as well - your scalp will love you just as much your hair! this gives your hair to an ability to handle greater stress such as when combing or brushing which makes your hair resistant to damage. when blow-drying which further keeps your hair well hydrated and moisturised... giving your hair improved lustre, sheen and gloss. Step 2: SoftTouch Intense Conditioning Potion, a powerful combination of 3 silicones, Cyclomethicone, Cyclopentasiloxane Dimethiconol and Amodimethicone completes Beautilogy Glamour Hair System. Step 2 is a non-greasy and non-build-up formula and.. Provides long-lasting deep moisturisation and conditioning to your hair by locking in hydration. This gives your hair an unbelievably soft velvety feel with a healthy glow. You'll also notice that your hair is practically static-free especially after blow-drying, hair straightening or when using a curling iron. your brush will just glide through your hair without any resistance or friction… making dry and wet combing or brushing a breeze. This prevents your hair from forming knots, snarls or getting tangled which means next to zero split ends, hair breakage and fly-aways. Beautilogy Glamour Hair System has been designed to literally reverse years from the appearance of your hair. Once your hair changes, you’ll start having fun again… you can get it styled and even cut differently… hey, why not? You’ll be beaming with confidence and attitude. But please don’t mind compliments from your family and friends, and even strangers, who are brave enough to admit, “I love her hair!”. Thanks for a great product! It changed my life! First of all, thanks for this great product. 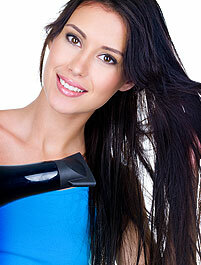 Beautilogy Glamour Hair System is really a great hair treatment system. After having my second child, my hair was a real disaster. Nothing was working on my dull, dry and (blow dry, straightner & chemical) damaged hair. 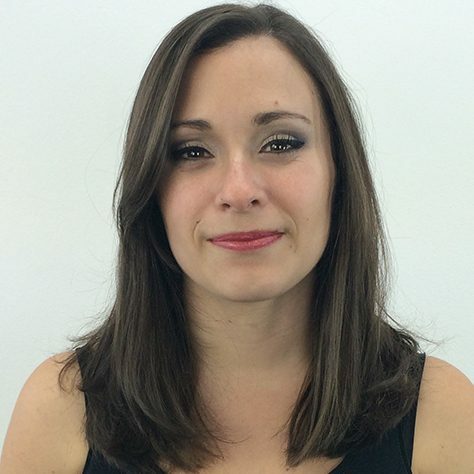 Than I found Beautilogy Glamour Hair System, and “awesome, what a difference it made”. With my busy schedule its the perfect treatment for my hair. Its compact in size and very easy to use. My hair are full of “life”, healthier and shinier than ever before. I get compliments every day. My sisters and friends are amazed with the results and getting there own Beautilogy Glamour Hair System. Thanks for a great product. I’m a natural skeptic… but WOW it was stunning! I’m a natural skeptic… but I gave it a try. 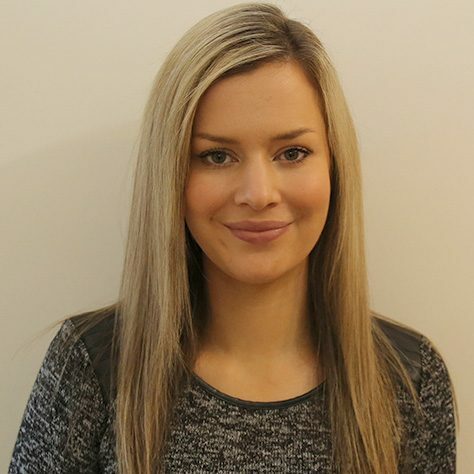 I used Beautilogy Glamour Hair System to straighten my hair using GHD and curling the ends, and WOW it was stunning! Shiny… and the curls didn’t drop out at all for a whole week!!! That I’ve never experienced before…I’ve told a few people about it! One more thing: you get 10/10 for customer service. I’ve been using Beautilogy for a few weeks and have been extremely happy with the results. 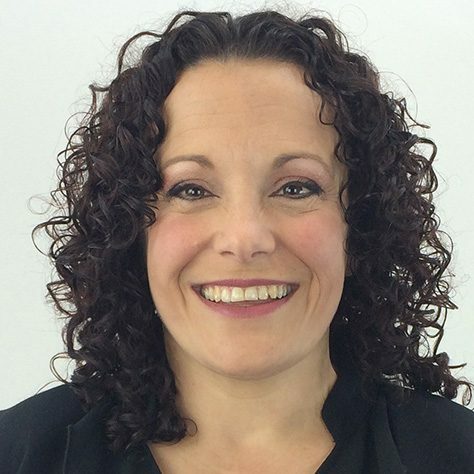 Something I particularly noticed while using Beautilogy is that it controlled frizz exceptionally well, without leaving my hair feeling oily or weighed-down. It helped frizz both with and without the use of my hair straightener! I love that applying the Beautilogy products is a simple process and that it doesn’t take to much time to apply. You also don’t need to use a lot as the consistency of the treatments makes it blend through hair easily. By the way, the packaging is beautiful too – I keep my bottles in the original box between uses. It’s also wonderful to hear that Beautilogy is made in Australia. LOVE IT or pay nothing! 100% Money Back Guarantee. We will give you a full refund, including shipping, if you are not completely happy with Beautilogy Glamour Hair System. © Copyright 2018 Blitz Brands. All Rights Reserved.